If you’re a creator, you may need some convincing that making money is a good thing. On a basic level, everyone understands that you need money to pay the bills…but when it comes to actually being successful and not just scraping by, there can be a serious mental block. “I don’t need much to live on,” people think, or “I’m not in it for the money.” And while that might be true, this misses the bigger point. The truth is, the romantic idea of the “starving artist” hurts more than it helps. You’ll become a greedy person. You’re now required to live ostentatiously. All of this assumes that money is this evil, corrupting force. Money itself is neutral. It’s what you DO with it. If you earn a decent amount of money, it means that you have more power and freedom than you did before. And–spoiler–you can use that power for good. 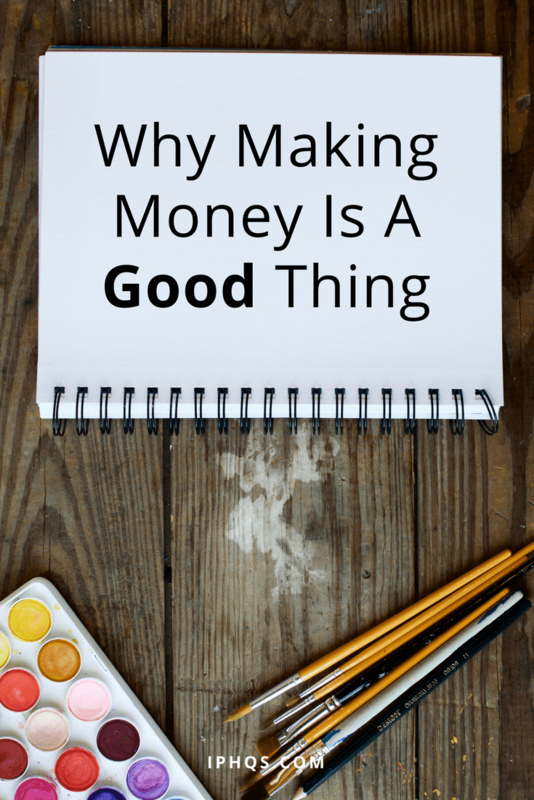 Here are 5 reasons why making money is a good thing. Reason #1: You can support other creators. It’s frustrating to see the same stories told over and over–in movies, books, TV shows, video games. Is it “fair” that it’s a game of funds? Not necessarily. But as you make more money, you can put your funds to good use and support creators who are telling unique, interesting, much-needed stories. You can also support them as part of their community. If you’ve gotten to the point where you’re charging enough for your creative expertise, help other creators get over the same mental block! A rising tide lifts all ships. Reason #2: You can start a small scholarship or grant. Let’s say you do really well. Better than you’ve imagined. Suddenly, you have a big ol’ chunk of money in your account, and you’re not totally sure what to do with it. You can take “supporting other creators” to the next level in the form of a scholarship or grant. Chances are, you’ve spent hours of your life applying for grants. If you’ve ever gotten a grant, you know how amazing it feels. What if YOU could be THAT person for someone else? Keep in mind, too, this can be done at all levels. Yes, a $5,000 or $10,000 grant would be a big deal, but even a $200 grant could make a real difference to an artist with a low-budget project in mind. 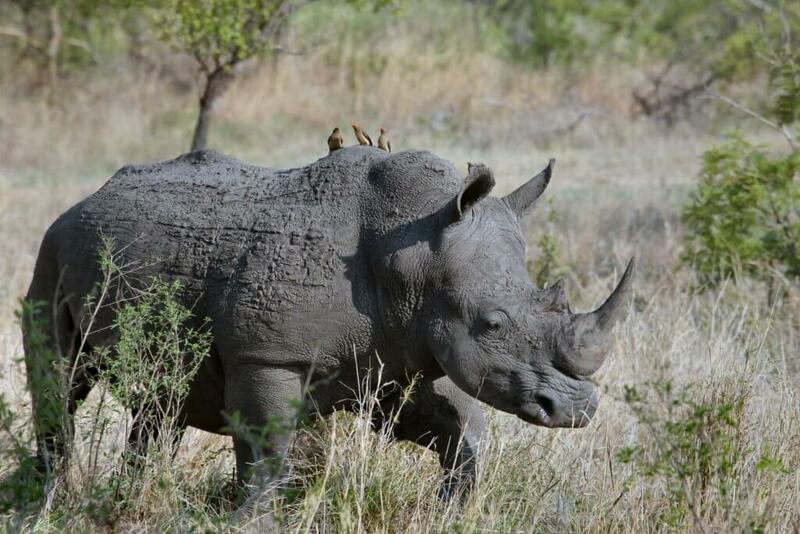 Are endangered animals on your list of causes close to your heart? Reason #3: You can set up recurring donations to your favorite charities. Non-profits, or not for profit organizations, are chronically underfunded. When you have money, you can put it into causes that you care about. Since recurring donations are typically better for charities than a one-time donation (unless you’re donating hundred of thousands of dollars), make it happen! Set aside some time to research organizations who are doing good work you genuinely care about. Once you have your list (determined by what you can afford, of course), schedule small recurring donations to organizations you believe in. Reason #4: You can open an investment account. Not psyched about the idea of buying a house? Fine. What about building a house? Or sending your kids to college? Or even making a movie, directing a broadway play, or buying a sailboat and circumnavigating the globe? Reason #5: You can buy yourself freedom. If you missed the infamous “Story of a F**k Off Fund,” here’s the gist–if you’re living paycheck to paycheck and/or deeply in debt, you’re at the mercy of the people giving you money or paying your bills. What if your job disappears in some corporate belt-tightening plan? What if your partner–the one paying your bills while you crawl out of debt–shows their true colors as a manipulative jerk? You’re trapped if you don’t have a cushion in your bank account. But instead, what if you were immune to life’s twists and turns? If you knew for sure you could leave a bad job/partner/apartment if you really needed to? If for no other reason, don’t see money as a leash. It’s your freedom. Treat it that way. Don’t be afraid of success! Embrace it and the opportunity. As your own bank account grows, so does your capacity to help others. Once you truly understand why making money is a good thing, you’re ready to start treating your creative practice like a business and get serious.